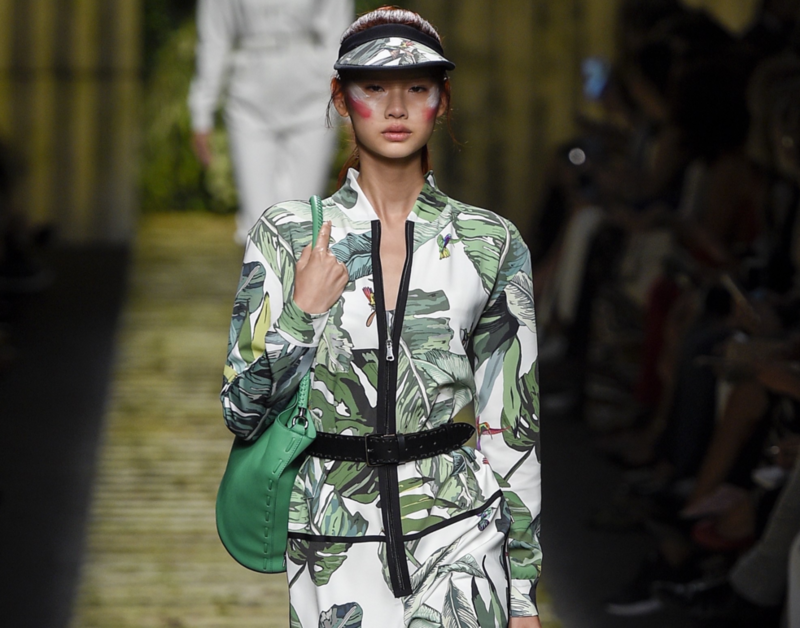 Tropical-inspired patterns and accessories have been a prominent presence of the runways for a while now, but this year more than ever Italian fashion designers decided to focus on their pleasing appeal, dedicating in some cases even entire collections. Tropical vibes all around for this summer, and there’s no doubt everyone will be pleased. Bright colors, tropical animals, and wild vegetation are the undisputed protagonists of this period, providing the right amount of cheerfulness to live the most enjoyable season of the year to its fullest. Tired of hectic working hours, busy schedules, and deadlines? Is a good summer break everything you’re looking for? You’re not alone and let’s be honest, a getaway to an idyllic exotic destination is everyone’s dream. That’s why – whether you’re planning an actual visit to the tropics or you just want to feel in your best summery mood everywhere you go – we thought you would enjoy a good selection of ideas from which choose the best summerish pop-up to your outfit. From footwear to beachwear; from evening gowns to dining sets – there’s no denying that parrots, wild flowers, and exotic fruits work well pretty much in every combination. We attempted to make a various selection of garments and accessories that cover a wide range of different features, uses, and even prices – because everyone tastes need to be satisfied. Are you ready to begin your trip to your own tropical paradise? The spring/summer 2017 MaxMara collection is a true tropical fashion fest. 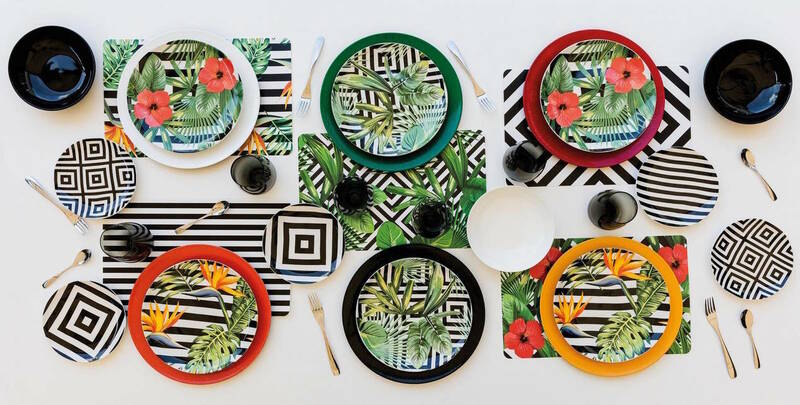 Not only it can be considered a tribute to Tropicalia, the avant-garde cultural movement that arose in the late 1960’s in Brazil – to which designer Bo Bardi is personally connected and influenced – but it is also a celebration of a bold, intelligent and audacious woman with a vision years ahead of her time. This is why, besides more elegant and feminine items, the collection also includes super-glamourous silk twill jumpsuits that recall a vague military aspect, just like this one. For modern women with big aspirations. Long strolls in the summer heat call for these amazing creations – which will keep your feet comfortable and trendy in a unique, ‘Valentino’ way. 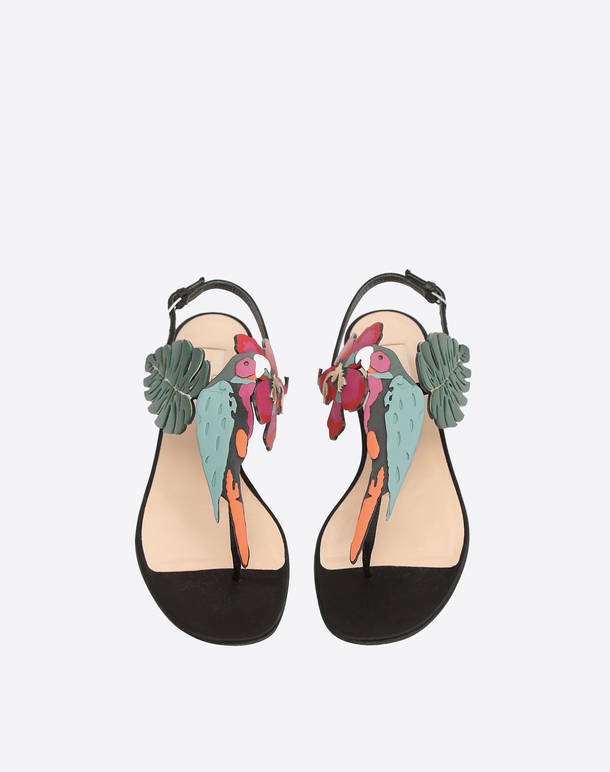 These calfskin flat sandals with a laser-cut contrasting tropical decoration on the front are just the perfect item if you want your look to be focused on your feet. Already being stunning themselves, they would look great combined with a quite basic outfit – like a total black or white soft long dress and a few accessories that match the predominant colors. 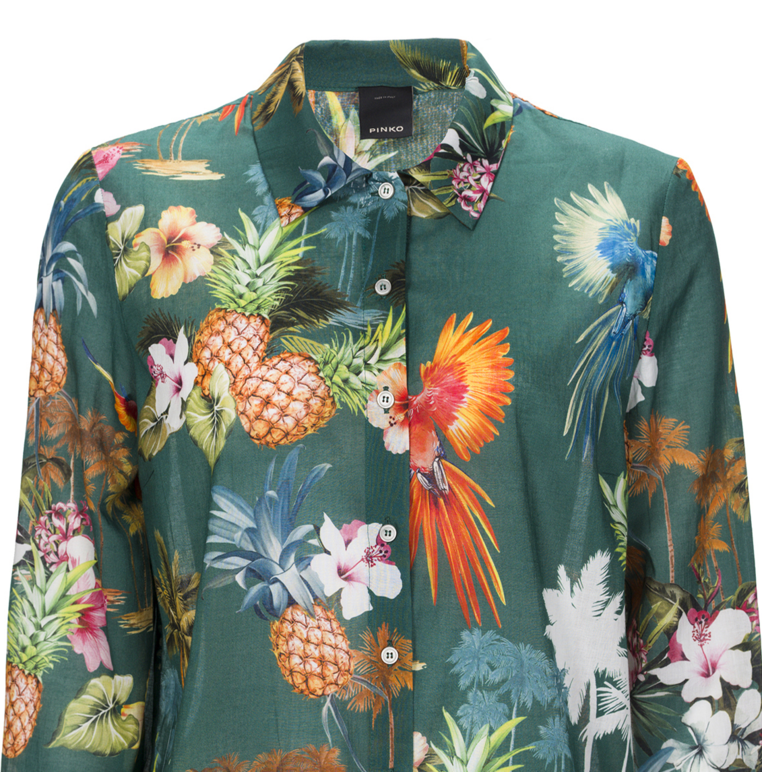 Pinko’s new collection is all about urban-chic, and this sensational tropical-patterned shirt made of light cotton is perfect for everyday outfits in the name of freshness and fun. The flowing texture, the design, and the colors merge with the fabric striped hem in contrast, which makes the shirt endowed with an even more unique and young appeal. Available in two colors – black and green – it’s perfect from morning to evening occasions. Not only pineapples are one of the most refreshing and succulent summer fruits, but they can be found in almost every tropical pattern, too. From clothes to design objects – they look great pretty much on everything. This super-cute Tezenis swimsuit is composed by a pineapple gathered padded bandeau with white and pink stripes bikini top and a tie-bow brief bikini bottom, which together form an exquisite combination to be shown off at your best beach and pool parties. This medium-sized backpack with leather details and the iconic green and white adjustable shoulder straps could be your summer travel companion: a comfortable carry-on item to take with you everywhere you go. 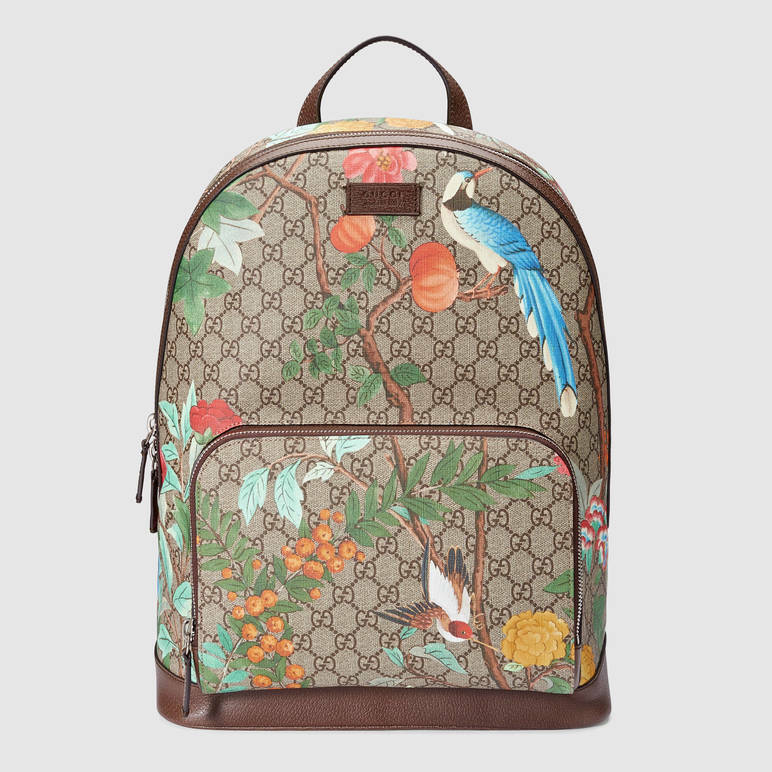 Made in GG Supreme Tian Canvas, it features the new Gucci Tian print, which includes a contemporary floral motif inspired by 18th-century Chinese tapestries and screens. Flowers, birds, and insects are all represented through light and quick brushstroke-style graphics, with a three-dimensional effect printed on the famous GG canvas. Already on your wishlist? Launched in February 2016, The Attico is a newborn Italian brand formed by the combination of the vastly different aesthetics of Giorgia Tordini and Gilda Ambrosio – with the intent to push the boundaries of specialty couture in the creation of standout pieces whose rich color patterns, lavish materials, and ornate embroideries draw inspiration from interior design and vintage furniture pieces. This white, peignoir-like dress with a giant parrot embroidered on it is just a vision. It’s not just its clean lines and the colors arrangement. The fact that can be worn in a variety of ways – alone or overlapping a shorter dress – makes it even more special. Do you agree? 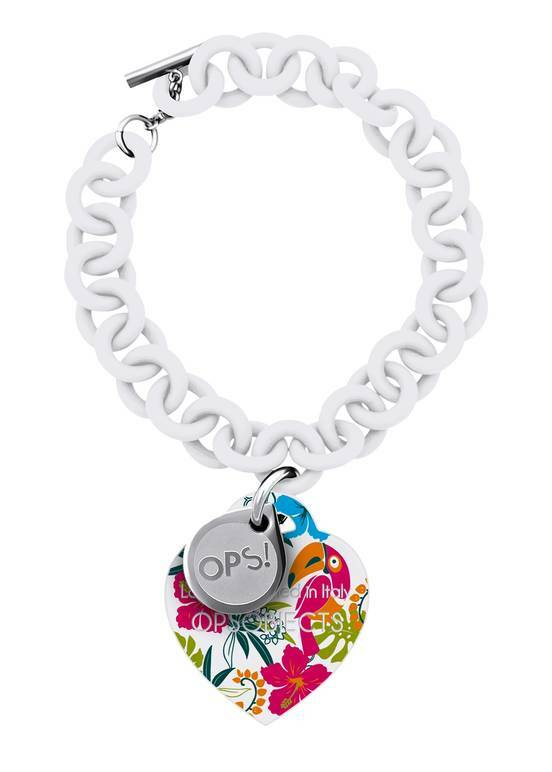 If funny, colorful, and resistant accessories are your go-to for laid-back summer days spent at the beach or whatever you like, take a look at OPS! Objects selection of bracelets, watches and much more. This young Italian brand – loved both from young girls and adults – followed the seasonal trend and created a ‘Tropical’ capsule collection featuring its traditional heart-shaped charms bracelets plus watches adorned with flamingos, parrots, and hibiscuses – in order to be able to feel the heavenly atmosphere of the tropics everytime, everywhere. The Dolce and Gabbana spring/summer 2017 ‘Tropical City’ collection is a celebration of sun and joy… at the tropics. 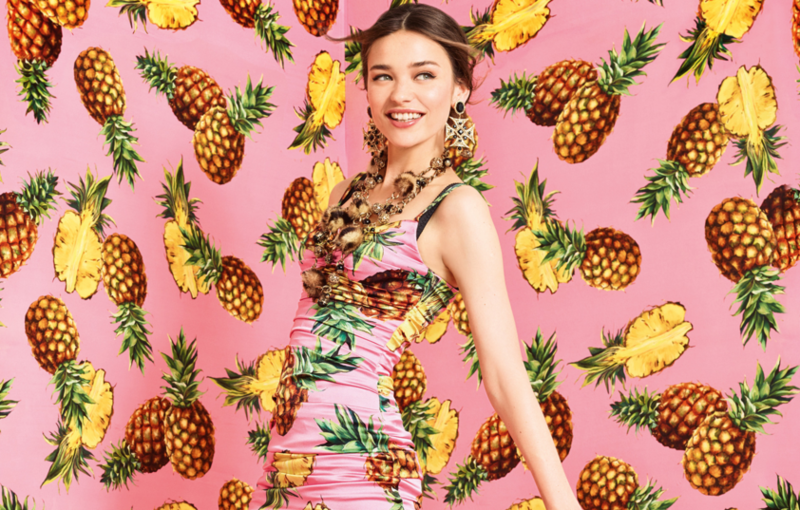 Funny pineapples on a bright millennial-pink background cheer up short and long dresses, bags, and even shoes. This triumph of colors and vivacity recall a tropical-like atmosphere and set you in the right mood to live your summer at its very best. The Dolce and Gabbana’s unmistakable style and aesthetics do all the rest. Someone said ‘dinner at the tropics?’ Yes, of course. This Villa d’Este Tivoli dining set seems to be designed to give your summer meals a little taste of tropics, too. Made of fine porcelain and china, this beautiful set is composed of 18 pieces – that can be combined in a variety of ways for always unconventional and refined arrangements – and fits for 6 guests. The materials guarantee practicality and resistance, while the decalcomania and the enameled decorations convey fun and sophistication. Each seat is conceived to be different from the others, as “each guest contributes in a different way to conviviality” (using the brand’s words.) So now, what are you waiting for before inviting your friends over for dinner?